Shopping around for hair can be a hassle for a lot of people. There's a lot to consider from price to style. At Hair Faux You, we want to make the experience of shopping for a weave as easy as possible. That's why we carry only 100% human hair weaves in both weft and virgin choices. 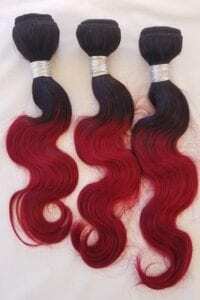 What is "Virgin" Weave Hair? Virgin, or Remy, hair means specifically that all the hair cuticles have not been stripped. This leaves the hair in a natural position for the most natural looking hair extension. The hair is collected from ponytails and bundled only from the same donor, which causes some minor differences in bundle length and style. 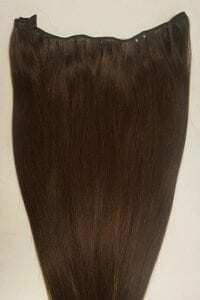 Virgin Remy is hair that is untouched or unprocessed. To maintain the high quality of this hair it should only be steam processed without the use of any harsh chemicals. What is "Weft" Weave Hair? Machine wefted or machine weft hair extensions refer to products which have been sewn or "wefted" to create the bundle of extensions. Loose or "bulk" hair is fed through a triple-head sewing machine to add a reinforced stitch near the top (root) of the individual strands. The hair is then folded over and stitched again to create the final wefted extensions. All the wefted hair sold by Hair Faux You is 100% human hair with no animal hair interlaced.